Bok choy has flared jungle green leafy blades with thick translucent and succulent white stalks that join at a common base above the root. Though the plant is entirely edible, the leaves are the most tender and mild part of the plant. The stalks are firm and succulent with notable cabbage nuances and sweet undertones. Bok choy is available year-round. Bok choy is a type of Chinese cabbage. There are two species of Chinese cabbage: the Chinensis and the Pekinensis. Bok choy is a member of the Chinensis family. Chinensis varieties do not form heads; rather they grow leafy blades much like celery and mustard. 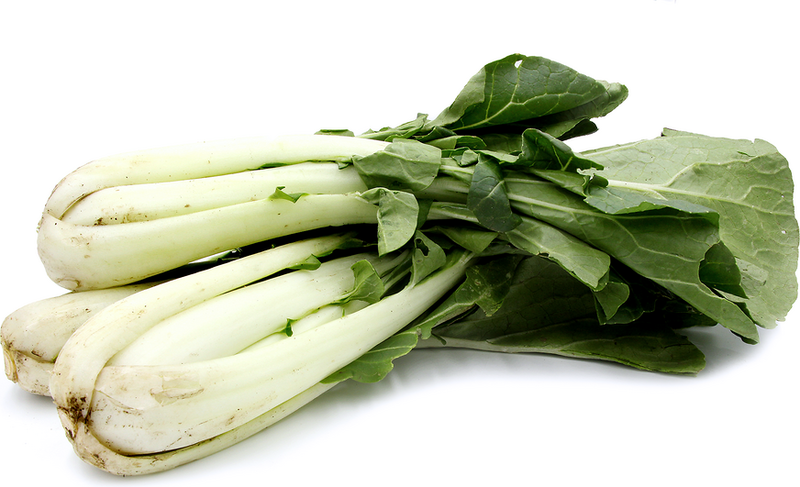 Other names for Bok choy include pak choy and joy choy.